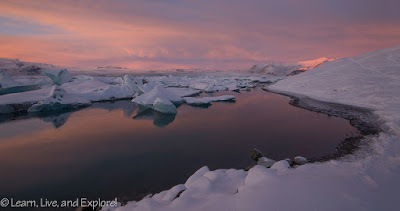 Learning to Fly ~ Learn, Live, and Explore! Oh my gosh I actually flew an airplane today. I'm not sure exactly if all the perspiration soaking my backside when I got out of the cockpit was from the 100+ degree day in a non-air conditioned plane or from my nerves and adrenaline! Most likely a combination of the two! What could be so hard about all these gauges? A few months ago I purchased a Groupon from Freeway Airport in Burke, Maryland for an introductory flight lesson. It was meant to be a taste of flying without all of the classroom time. Boy, I felt like I was 15 again sitting in my drivers ed car with Craig Opra in the passenger seat - same set up with the mimicked steering and pedals on the right side of the vehicle. Though I don't remember panicking in the car as much as I did in the plane whenever we hit an air pocket, perhaps because correcting yourself on the road is A LOT easier than when you're 2,500 feet in the air!!! 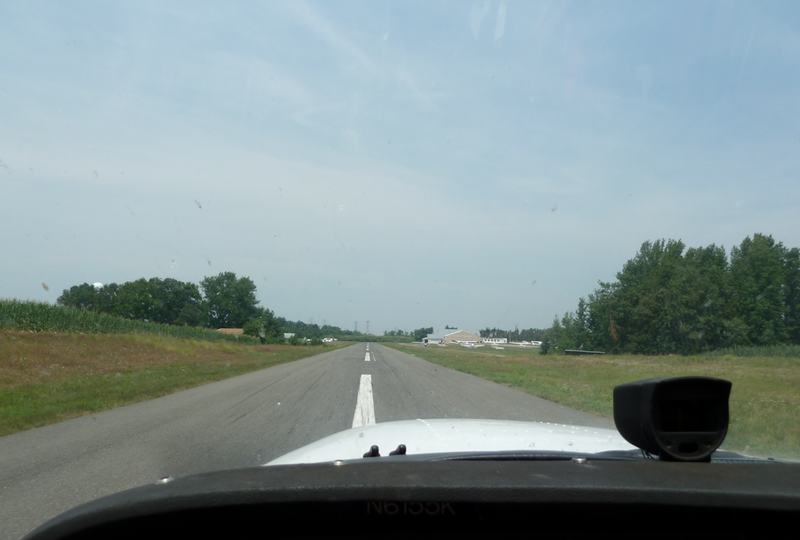 The instructor was kind enough to take over the take-off and landing parts - phew, what a relief! Once in the air, it took me some time just to get comfortable with the sensitivity of such a small aircraft to air disruptions (a.k.a. turbulence) and to experiencing the sensation of flight from this perspective, as opposed to my comfy seat a few rows back with beverage service. 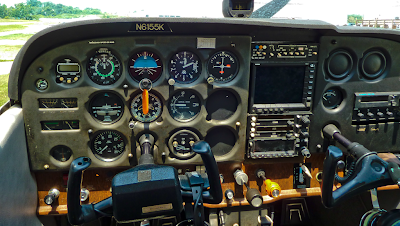 Once he demonstrated for me the airplane's responsiveness to simple flight maneuvers - banking left and right, pitching up and down, and adjusting the speed - he was true to his word and handed over the controls to me for a good half hour! 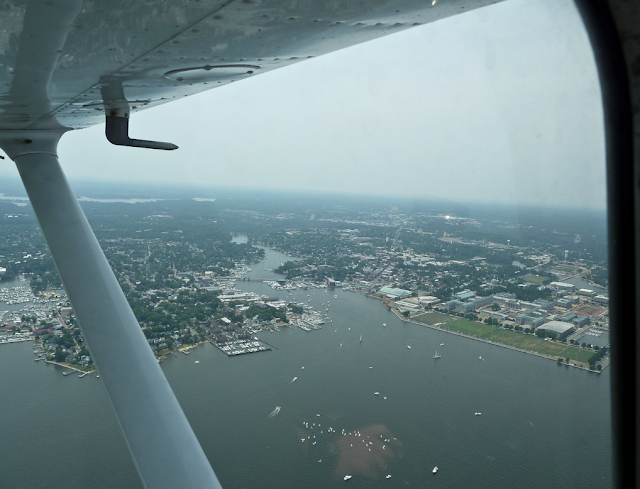 I flew that little Cessna plane out over the Chesapeake Bay, then back up towards the Bay Bridge, turning to get a good view of Annapolis and the U.S. Naval Academy on our left as we made our way up the Severn River. 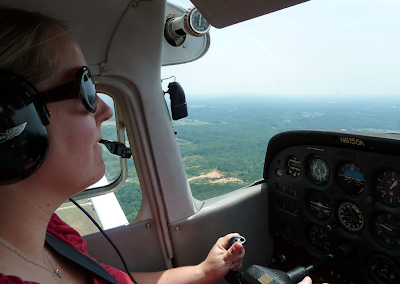 As we approached the airport, the instructor gave the controls back to me (I had voluntarily given them up because we had hit a nice rough patch of air that was freaking me out!!) to guide us on the home stretch before he tool control to land. What an experience, and what a rush! Like the longest roller coaster ride ever! I think the one takeaway from this introduction to flying is that I'm more than happy to pay for someone else to fly me to my destination! And I thank every pilot who got me to where I wanted to be, safely, on my many travels around the world. Whew, now I can finally calm down.